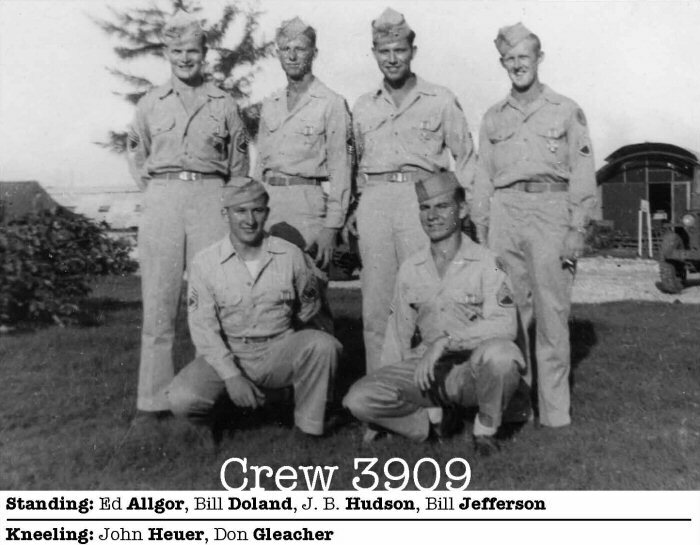 1/Lt Warren R. Higgins transferred from Crew #3903. Photo provided by Bob Allgor, son of Ed Allgor, Right Gunner, all rights reserved. The enlisted men of Crew #3909. 1/Lt Don Kearney, Navigator, prepared a description of their harrowing May 25 mission to Tokyo. 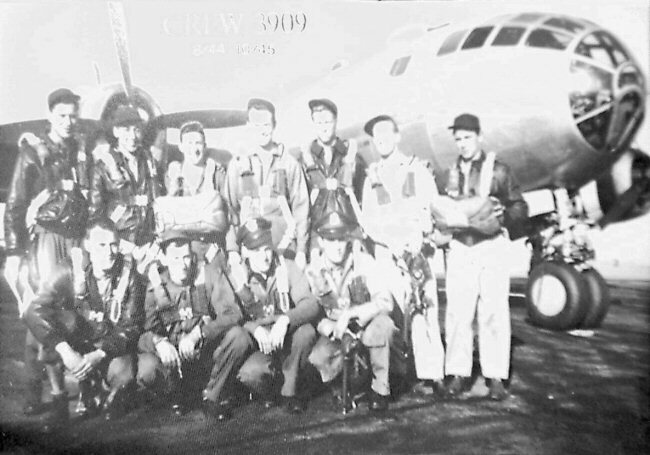 Sometime after the May 25th mission, this crew was sent to the States for lead crew training. There were there when the first atomic bomb was dropped. They returned to Tinian in time to participate in the last missions of the war.